Casey Mursten is beginning her seventh year of full time pastoral ministry. She served in the Florida Conference before getting married and moving to North Carolina. 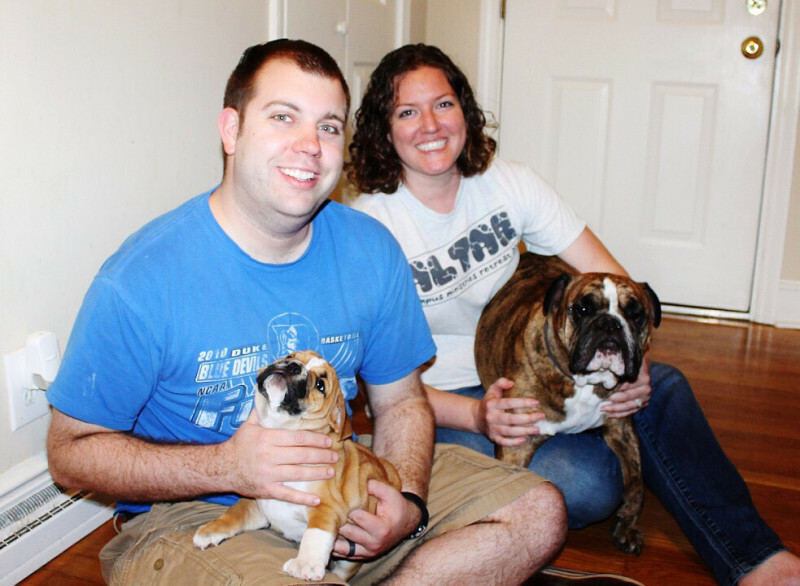 She has two very loved and spoiled English bulldogs and a bearded dragon named Duke. She is a graduate of FL Southern College (Lakeland , FL) and Duke Divinity School. During her time in Seminary she took a class at Raleigh Correctional Center for Women and did a year of Clinical Pastoral Education at UNC Hospitals. Her chaplaincy area included the Burn Center and Emergency Department. After Seminary she worked as an Associate Chaplain and campus minister at FL Southern College. She then served a two-point charge in the Gainesville, FL area. Casey is passionate about the 4th Commandment. It's the only one that starts with "remember" maybe because we are forgetful people. Casey loves to hear about other people's Sabbath memories. Often they are strongly connected to food. She participates in Sabbath Life at the Farm which is a ministry under Life Around the Table. It's a once a month Sabbath day with other clergy. We gather around the Communion table and the dining table and share life together. In April she celebrated five years of marriage to her husband, Sid. She served the past five years at Oak Grove UMC in rural Roxboro. Her strengths include preaching and teaching God’s word. Her top Clifton StrengthFinder is positivity. Casey was ordained in full connection in the UMC June 2018. She is excited to meet all of you. Please contact her at cmursten@nccumc.org.